A love letter to first-person space shooters, Galaxy combines one high-rise stick designed for precision aiming and one mid-rise stick for extra grip and comfort. This deadly combo translates to better control, accuracy and increased K/D for any away mission. Boasting a beautiful purple-on-silver or white-on-white color scheme and an original laser etched design that offers exceptional grip, Galaxy encapsulates our love for the space genre and stands up to the grueling demands of competitive online play. 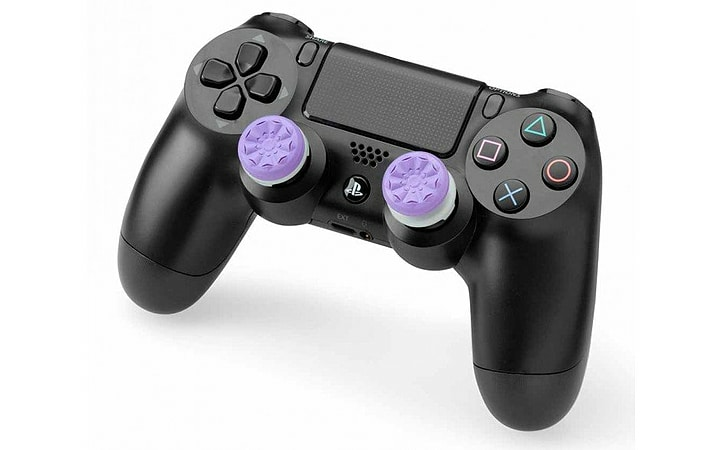 FPS Freek™ Galaxy features two different height sticks with rugged concave grips. With one high-rise stick (10.1mm) designed for aim and accuracy on your right analog, and one shorter, mid-rise stick (6.1mm) for extra grip and comfort on your left, you'll get faster target acquisition and maximum precision and control.